It’s actually a good observation because he’s got a point. Sumo wrestlers skip breakfast and eat 2 meals daily, during an 8-hour window usually — just like intermittent fasting. However, there are some other differences and I’ll get to those in a minute. Now, today’s topic is how sumo wrestlers can gain so much weight and fat, so quickly. It’s an odd topic, but I got a lot of people asking me about it – so, why not. However, I’m also doing this topic because there are important weight loss lessons in it as well. If any of the statements sound like you or someone you know, then you should keep reading. This helps slow down your metabolism in the morning. Eating speeds it up. Exercise in a fasted state / empty stomach for 3-5 hours. This increases cortisol and stress hormones, so your body is now in a “fat conservation” and “survival” mode. Eat two, large meals daily. Typically at 11 am and about 8 hours later. Sleep after each meal. 4 hours after meal 1 and overnight after the last meal. This helps convert the food for storage, not used for energy. Especially meal #2. Eat LOTS of calories, primarily from carbs, a little bit of protein and almost no fat. This causes high insulin/blood sugar levels, which stores the food as fat. Drink lots of beer with both meals. Alcohol increases estrogen levels, which creates more body fat, especially beer. Alcohol also stimulates your body to secrete excess levels of cortisol (your stress hormone), which in turn, causes your body to store fat in your abdominal area, thus creating that famous “beer belly” look. This is great for a Sumo wrestler because their big belly makes them more stable in the ring. During the two times they eat, it’s done with at least one other person and typically a few friends or teammates. Research shows that when you eat a meal with others, you’ll take in 44% more food and over 30% more carbs and fats, than if you were to eat alone. So this is how a Sumo wrestler gains weight. They eat a LOT of calories, between 8000 – 20,000 daily. When you eat that much food, you’re going to get fat. Except the Sumo style speeds up the process. Genetics – wrestling scouts look for boys who are athletic (preferably with experience in the martial arts) and stocky in build, with bodies that are big-boned and capable of putting on weight easily. So, what are the lessons we can take to an Intermittent Fasting plan if your goal is fat loss and you are not a Sumo wrestler in training? 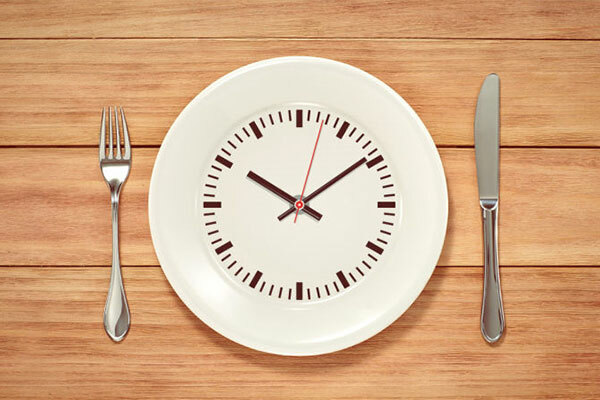 Eating only 1 or 2 large meals isn’t a good idea, several smaller ones are ideal for better absorption and hormones. Don’t have high carbs – eat protein and fat. I like ⅓ (33%) of each as a starting point. Doing hours of exercises fasted is going to raise your cortisol, lower testosterone, burn muscle and hold on to fat. Keep your workouts between 45-60 min. Short and intense. Sleep is important for both building muscle and losing fat because it improves your hormones. So there you have it – whether you want to get fat or lose weight. These are success principles to follow.